These 2" dia. x 2.5" tall candles make a great choice for your rustic candle holder, candle lantern or decorative table centerpiece. 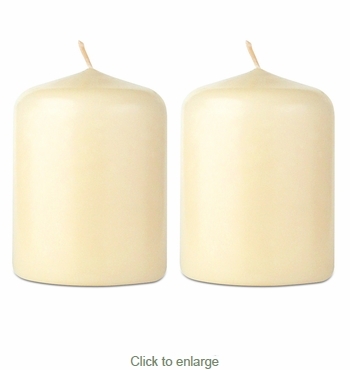 These ivory candles are hand crafted in Mexico using purified paraffin wax for clean burning. Candles are unscented and individually wrapped. 4" and 6" pillar candles also available. See below.